Each Wednesday and Thursday from 4pm to 6pm, during Fall, Winter, Spring and Summer terms, the Student Food Pantry opens it’s doors and provides free food to students who show their student ID. The students are welcomed by a caring student volunteer and guided through the selection of food from our well-stocked shelves and coolers. 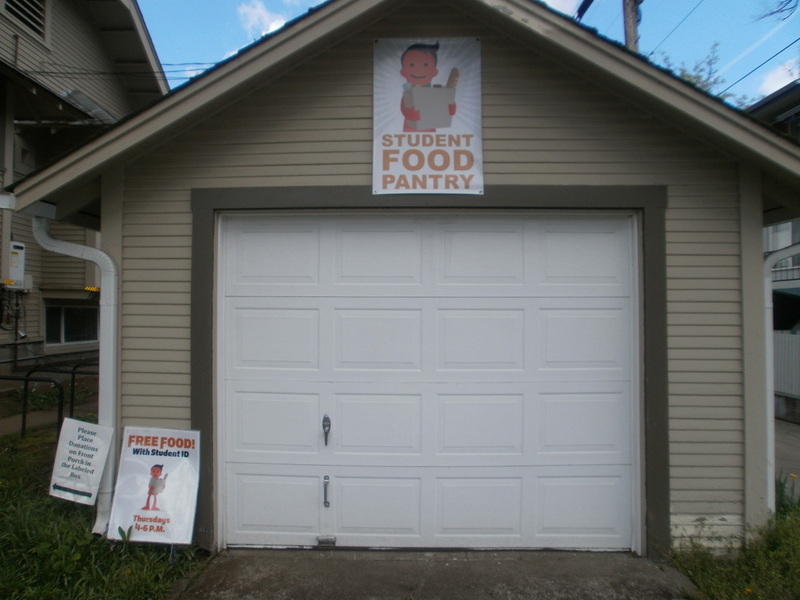 The Pantry is located in the garage of the ECM House at 1329 E. 19th Avenue. It is closed for breaks in the UO academic year. Current UO, LCC, GC or NCU students with ID are eligible to come to The Pantry once a week. Students of other schools who are living in the area are eligible as well. The Pantry provides free supplemental food for students and their families who are in need of this type of support. 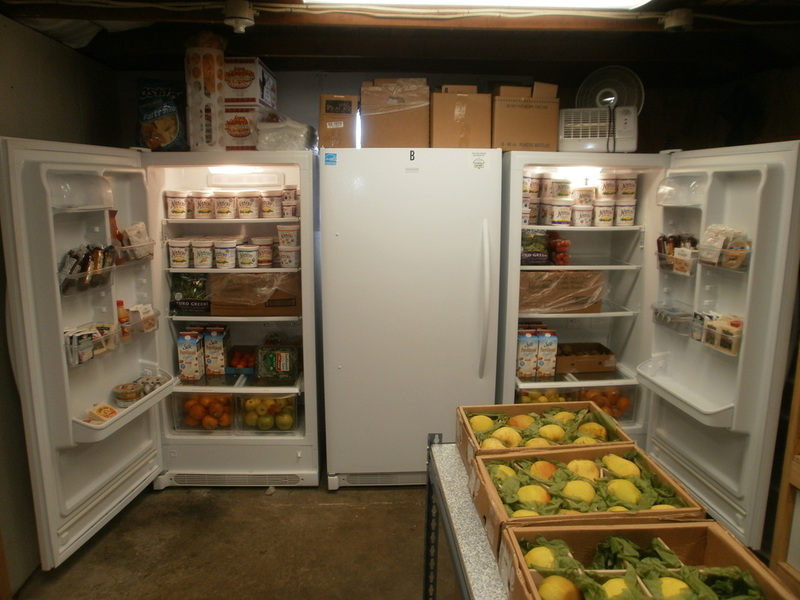 At each distribution, students have a choice of canned fruits and vegetables and frozen vegetables; bread, rice, pasta and cereal; canned beans, soups and other protein sources; fresh vegetables and fruits; dairy products. Specific foods are available, depending upon budget restrictions and availability of products. Students are asked to check-in at the front table where they must show their UO/LCC/GC/NCU IDs. A student volunteer then guides them through selection. Each student gets to choose which products in each category are most useful to them. Students are asked to bring their own bag, box or other container for their food. The Student Food Pantry is a ministry of the Episcopal Campus Ministry in partnership with Food For Lane County and staffed by student volunteers. It is supported by the wider Episcopal Church and the University of Oregon Religious Directors Association. Various University of Oregon organizations, Eugene area religious groups and caring individuals run food drives or make donations of food or money to support the work. A Guide to the Student Food Pantry! Interested in Donating or Volunteering? We accept donations of unopened non-perishable foods, grocery gifts cards, and financial support. We are always looking for volunteers to help with stocking the shelves on Wednesdays and distributing the food on Thursdays! If you wish to help, please contact the chaplain at uochaplain@comcast.net. The Student Food Pantry is an equal opportunity provider.